Canarywood is a very dense wood that comes from South America. 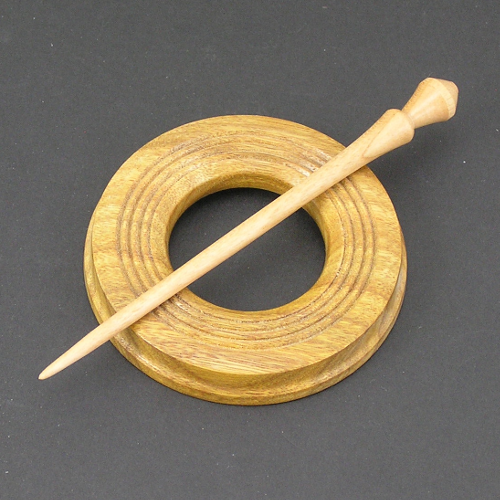 This is a favorite whorl wood for True Creations because of its density and ability to take fine details in the turning. 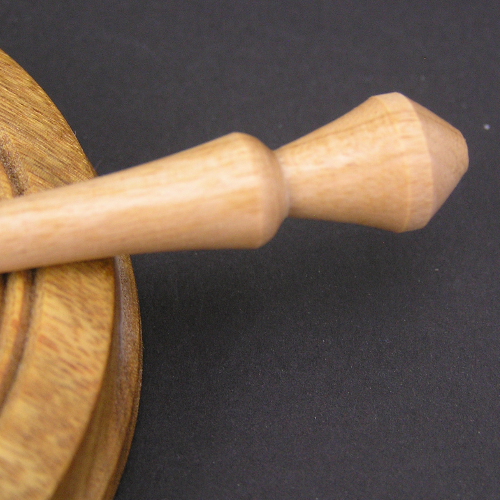 This ring is finely turned with great details. 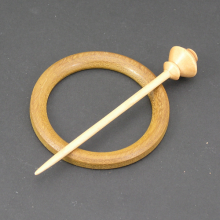 The pin is thin for use on light weight shawls and sweaters. 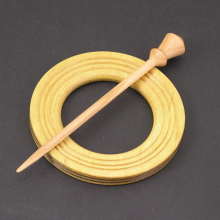 Be the first to review “Shawl Pin – Canarywood with Cherry Pin – #553” Click here to cancel reply.